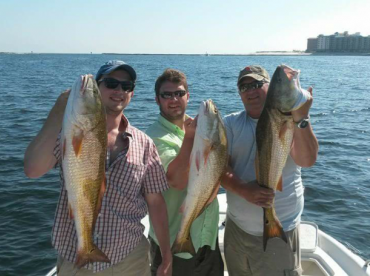 Gulf Shores is an inshore angler’s dream. From sheltered lagoons to protected wetlands to wide, open bays, you can find every major shallow-water habitat within easy reach of a half day trip. 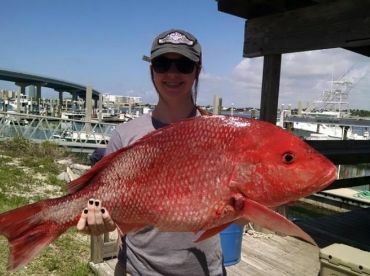 Gulf Shores inshore fishing can get you on a huge range of species, too. 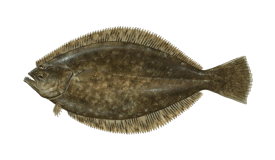 Iconic game fish like Red Drum, Speckled Trout, and Spanish Mackerel share the shallows with great table fare like Flounder. 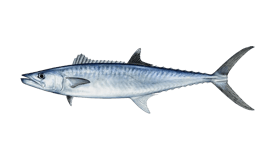 Add seasonal visitors like Pompano and Tarpon to this already star-studded cast and you have one of the best inshore fisheries on the entire Gulf Coast. 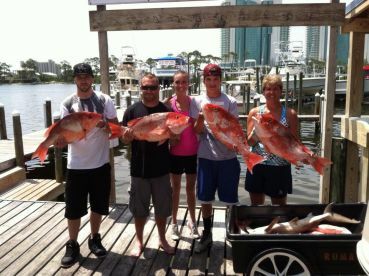 With a name like Gulf Shores, it should be no surprise that the area has awesome shoreline fishing. 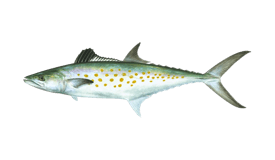 You can troll for Spanish Mackerel along the mile after mile of beachfront, and find Tarpon moving along here in the summer, too. The best action is in more sheltered waters, though. 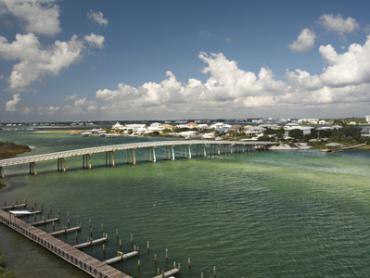 Little Lagoon is the first port of call, with Redfish, Flounder, and Speckled Trout, as well as lots of Pompano during the spring and summer. 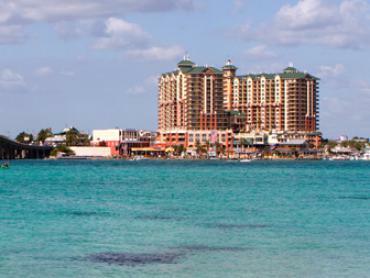 Launch out the other way from Gulf Shores, and you can enjoy the productive waters of the Oyster and Bon Secour Bays. 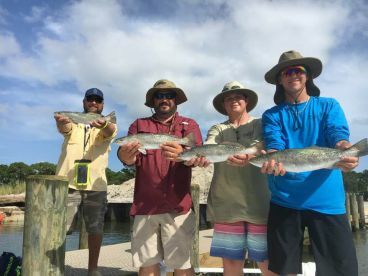 The creeks and rivers which feed these waters draw huge stocks of baitfish, tempting in Sheepshead, Whiting, Speckled Trout, Red and Black Drum, Pompano, Spanish Mackerel, and even Kingfish. Whatever you’re after, you can rely on a seasoned charter captain to show you the best places to fish. There are endless spots to hit around here, and your guide will always have hidden favorites for when the bite is slow in well-known areas. 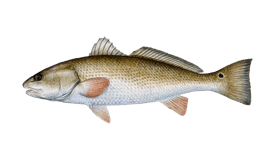 Red Drum, Flounder, and Speckled Trout, can be reliably caught with live bait and light tackle. Mullet and Minnows are both great options, depending on what’s in season. If you fancy something with a little more finesse, light spinning tackle and lures can also bring in trophy fish. 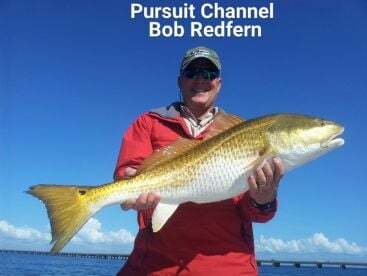 Soft plastics work best for Flounder, while topwater lures and jerkbaits are irresistible to Redfish and Trout. 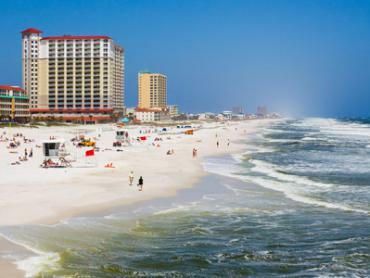 Fly fishing can be outstanding here in Gulf Shores, especially during the summer months when Pompano and Tarpon are both in town. Fishing licenses are not required when fishing from a registered Alabama fishing charter. If you’re planning on going it alone, you’ll need a saltwater fishing license for anyone aged 16 or over. Get yours online before you get to town, or swing by a local approved vendor to get the skinny on what’s in season and where the bite is hot. 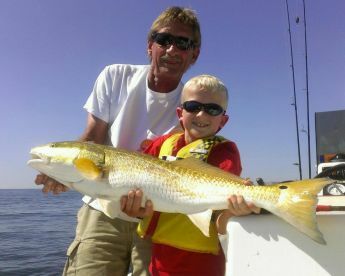 Live bait is almost always included on local charters. It’s normally prepared ahead of time, but you may catch it during your trip. It won’t take long, though, and can be great fun for kids. Remember to bring protection against the hot Alabama sun, as well as an extra layer - it can get colder than you’d think when you’re out on the water.